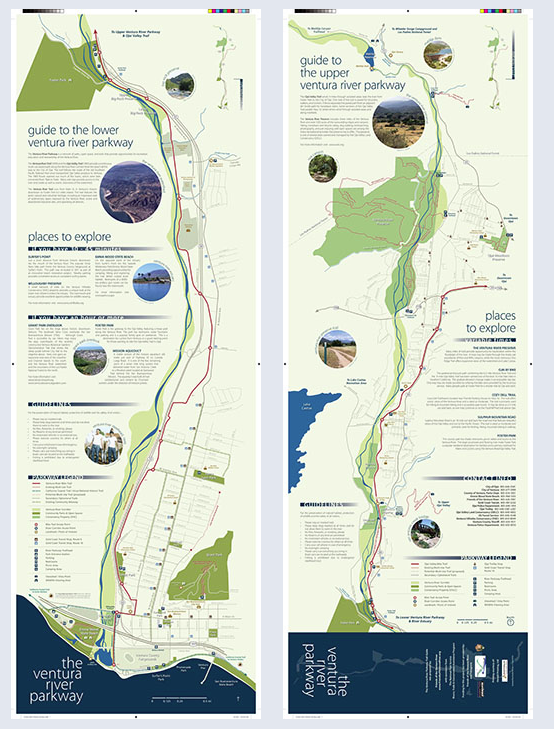 The Friends of the Ventura River has released a printed guide map of the recreational opportunities along the Ventura River corridor from the river mouth to Matilija Dam. The parkway features a 17 mile 'class 1' bike path which connects numerous parks, open space, and trails which provide a diversity of outdoor opportunities. The best part? It exists today! The maps are now available at outdoor retailers, visitor centers, and local bike shops in Ventura and Ojai. The map was designed with support from the National Park Service Rivers, Trails and Conservation Assistance Program, and printed by local Herald Printing with funding raised at last year's Salmon Run. The Surfrider Foundation has been a sponsor and key organization in the Friends of the Ventura River coalition.